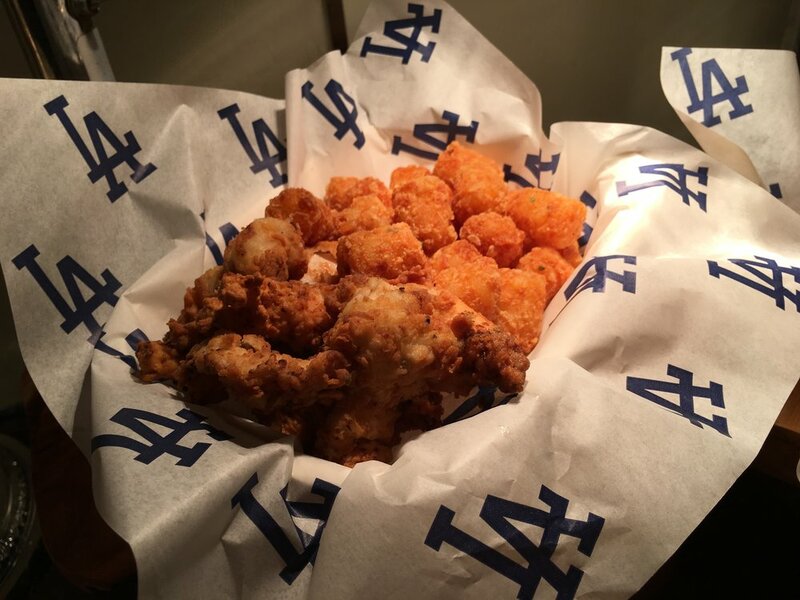 For the 4th year in a row, I was invited to cover the Dodger's food media preview. 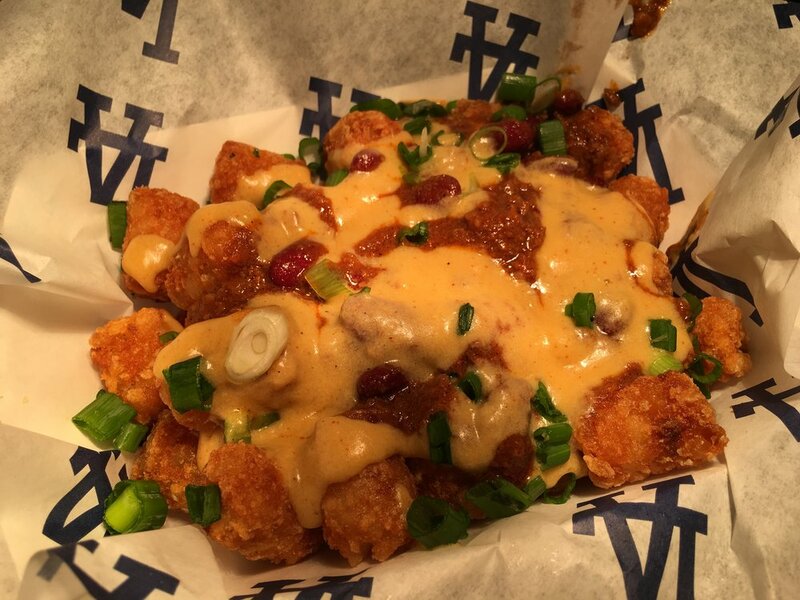 I've covered the Dodgers food for LAist before (You can click here to see my previous work). 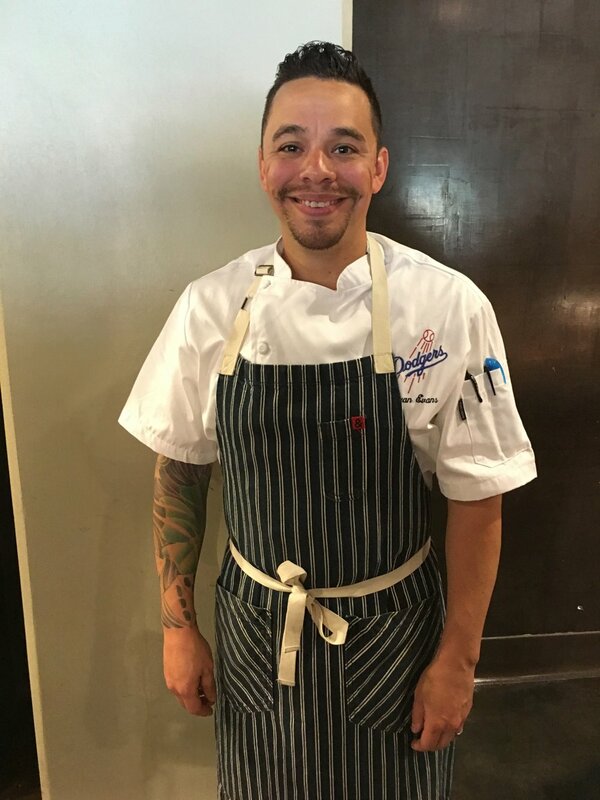 This year, Chef Chris Evans created 30+ new dishes that include vegan, gluten-free, and comfort food. 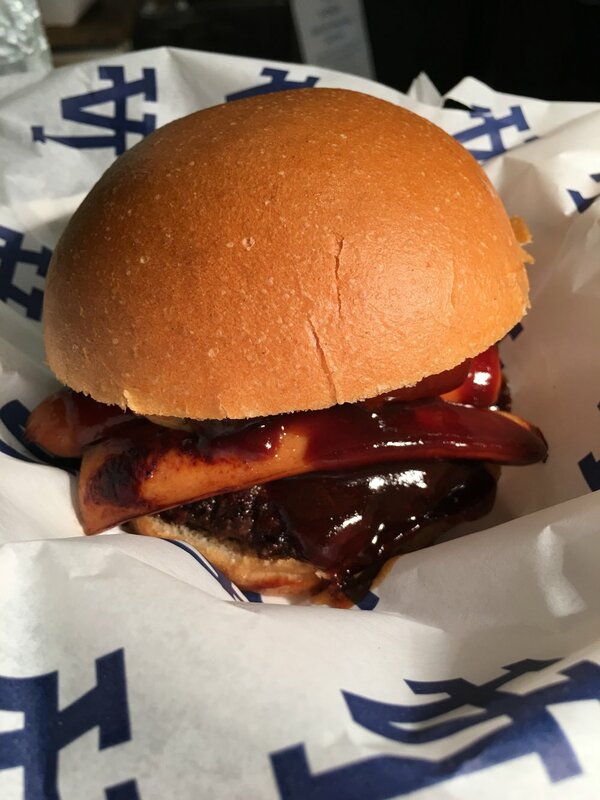 Most notable for me was the new Dodger Burger that has a Dodger Dog on top of the patty. 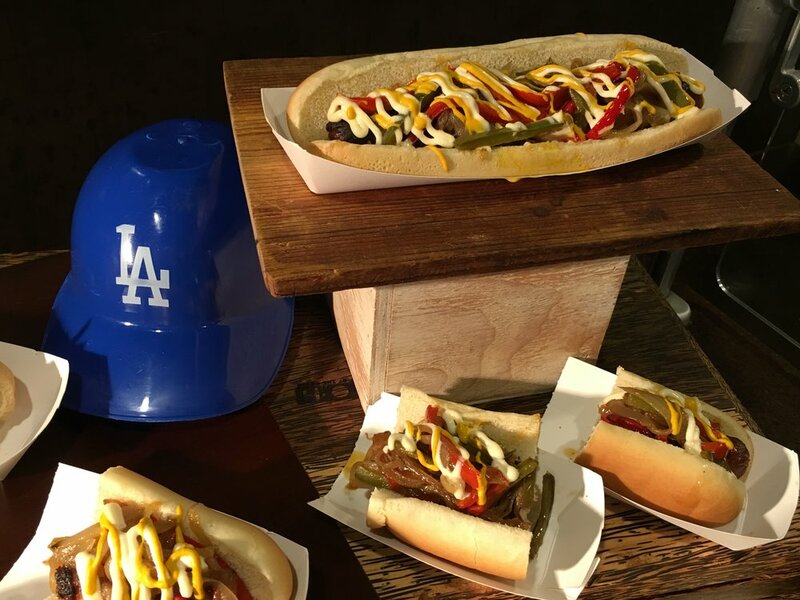 There's also a new Blue Margarita they are introducing along with a Extreme Bacon Wrapped Hot Dog on King's Hawaiian bun and a Pulled Pork hot dog on King's Hawaiian bun. 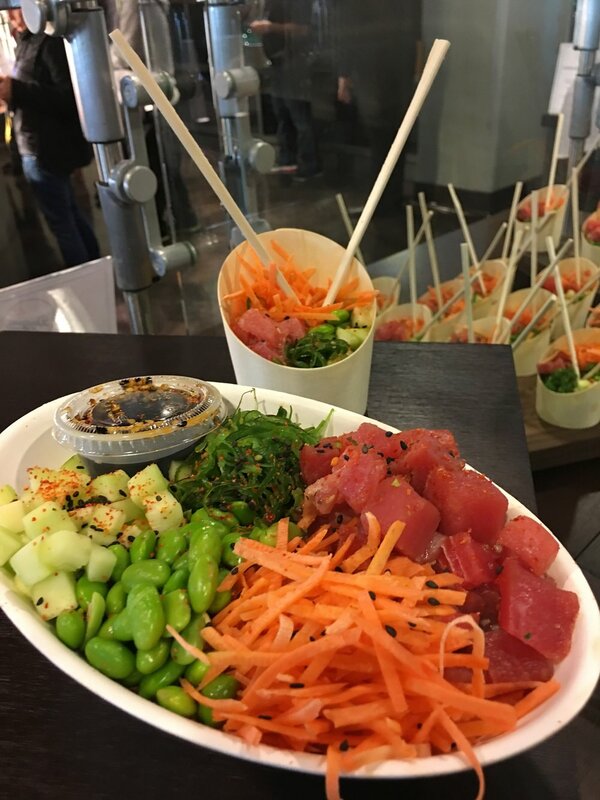 I did make a comment to Chef Evans that the poke couldn't be served to guests as pictured in the first photo as having chopsticks stuck in the air denotes bad luck and sometimes is a bad omen referring to impending death in many Asian cultures. 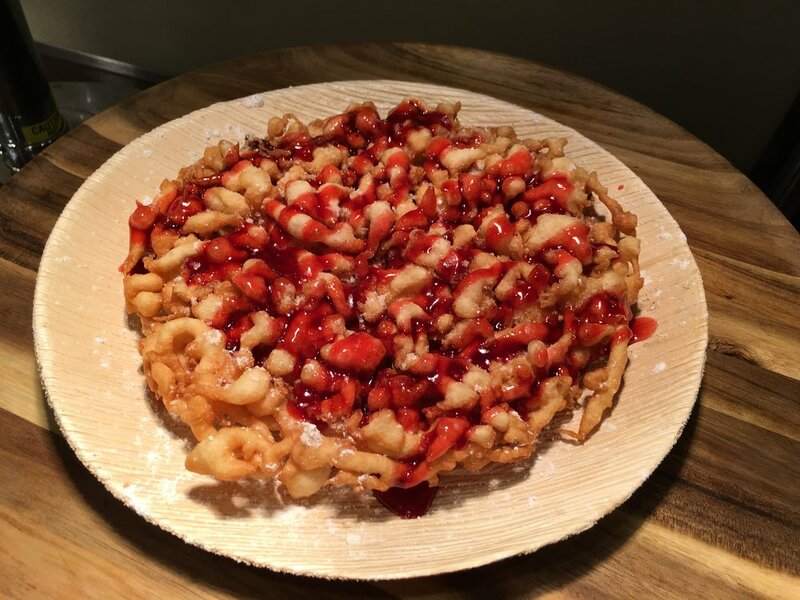 I do believe that the official serving will be the tray in the front so let's hope that presentation was just for the media event. 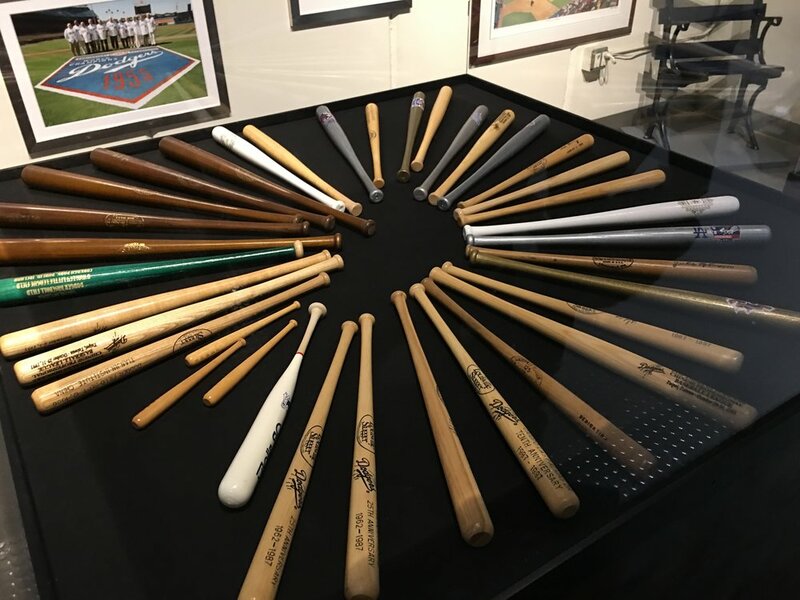 Of course, it was a lot fun as usual making the rounds through Dodger Stadium and getting a private VIP tour. Even though I've done this 4 years in a row already, it never gets tiring. There's always something new to see. 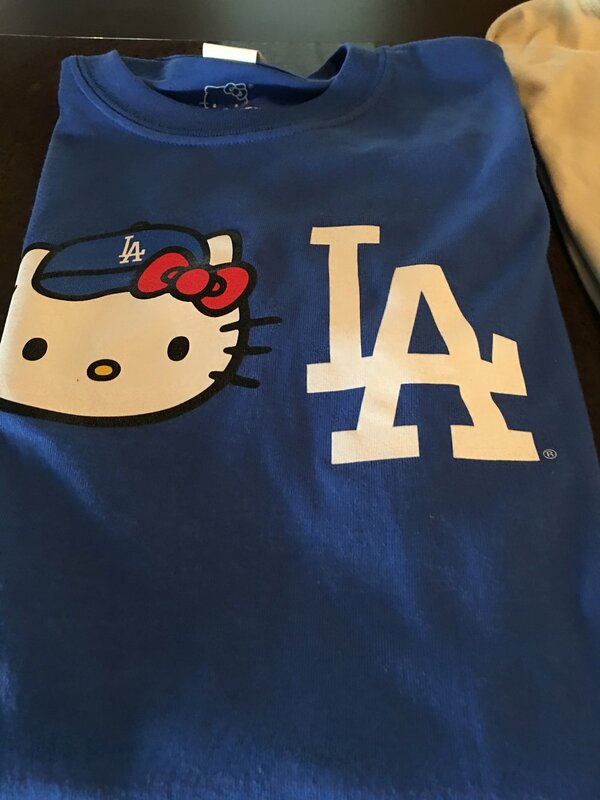 Something the Dodger's does very well is that they release limited edition specialty items all the time. Of 81 games, 60 of them are themed. 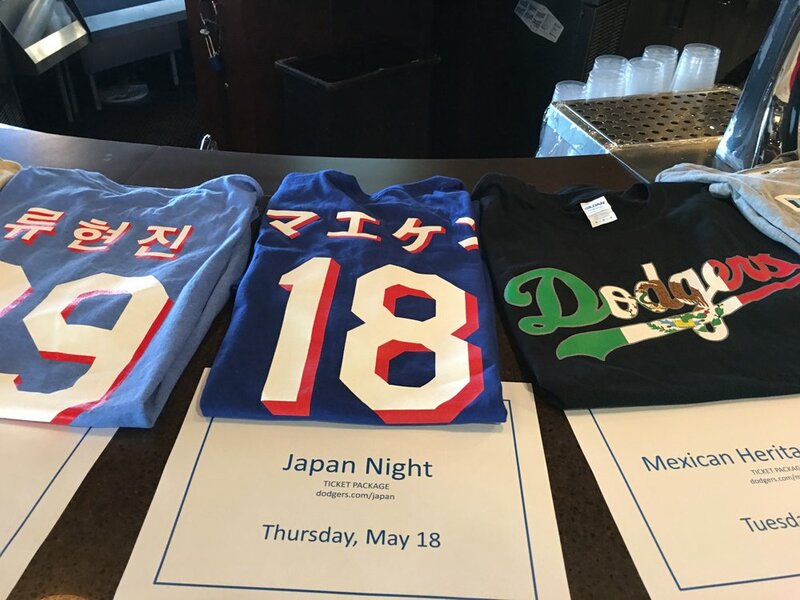 Here's just some of the merchandise available this season. What a beautiful view! Here's a view from the field. The staff was trimming the grass that day so it looked immaculate. 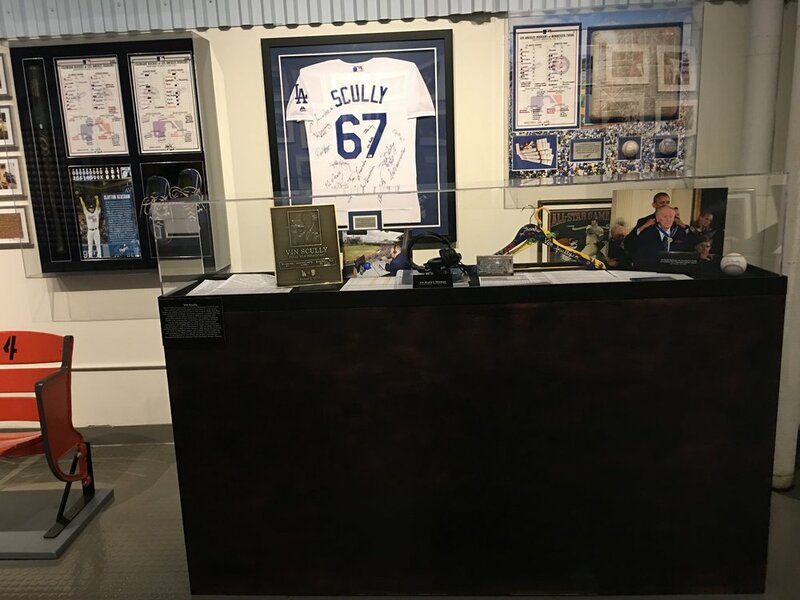 The new Vin Scully booth was a nice new addition. There's a photo of President Obama awarding him with the Presidential Medal of Freedom. 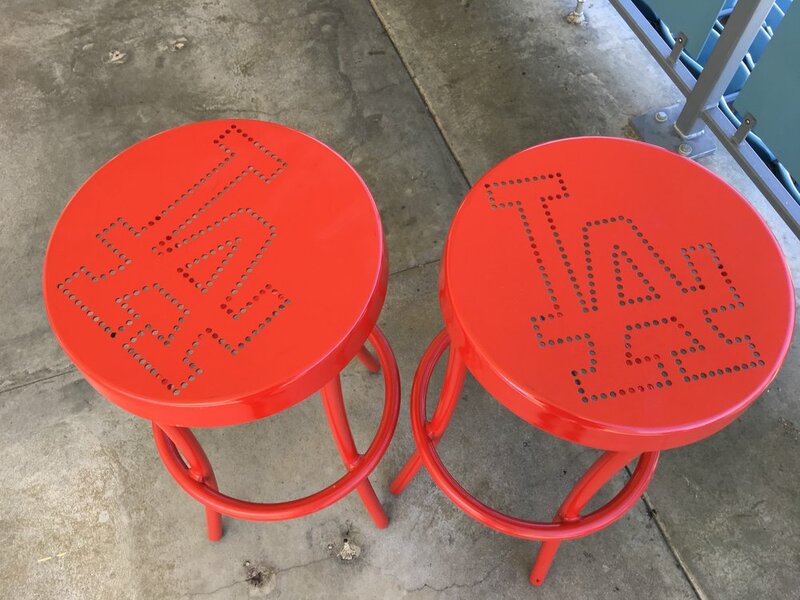 As usual, I'm excited for the slew of new items to come to Dodgers Stadium. 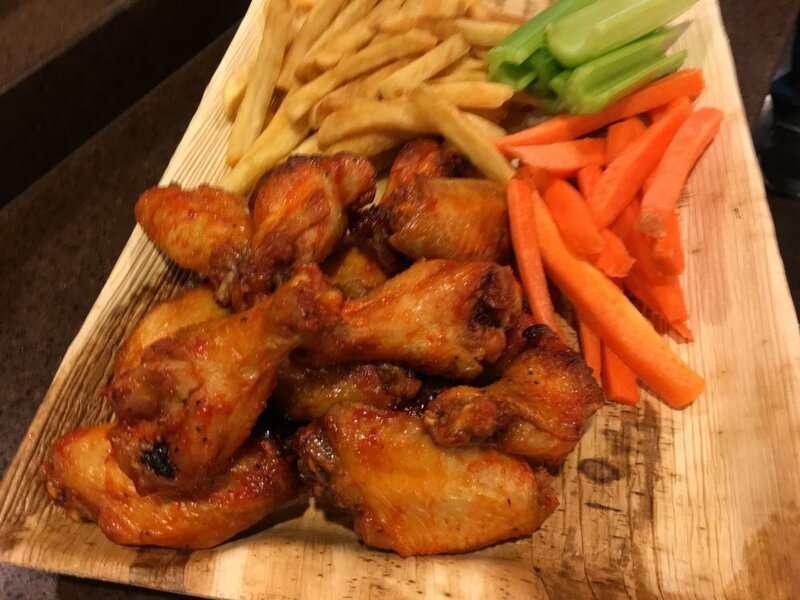 There's no reason why you have to eat crappy stadium food just because you're watching a ball game! Also, big shout out to my blogger friends Christina from We Like LA, Tanaya from Tanaya's Table, and Jay from Jay Eats. The 2017 Opening Season starts on April 3rd this year. 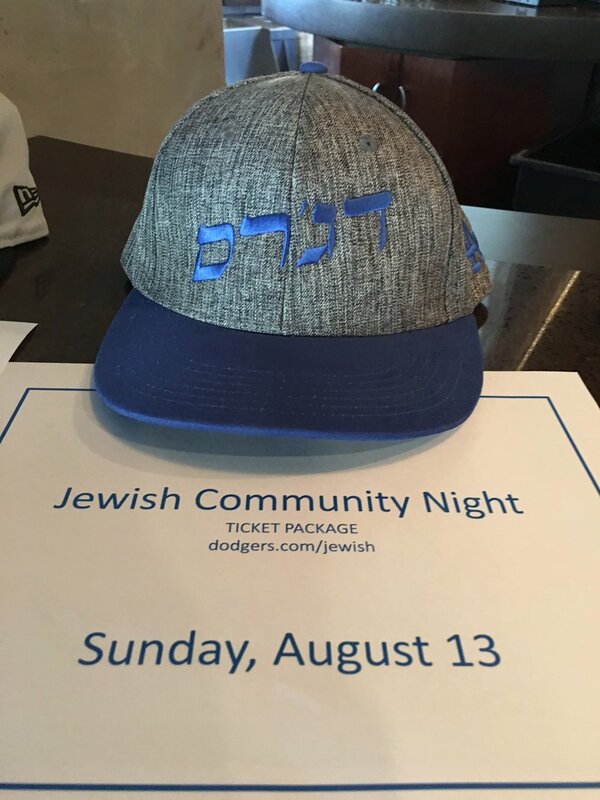 Click here to visit the Dodger's official website for ticket information.